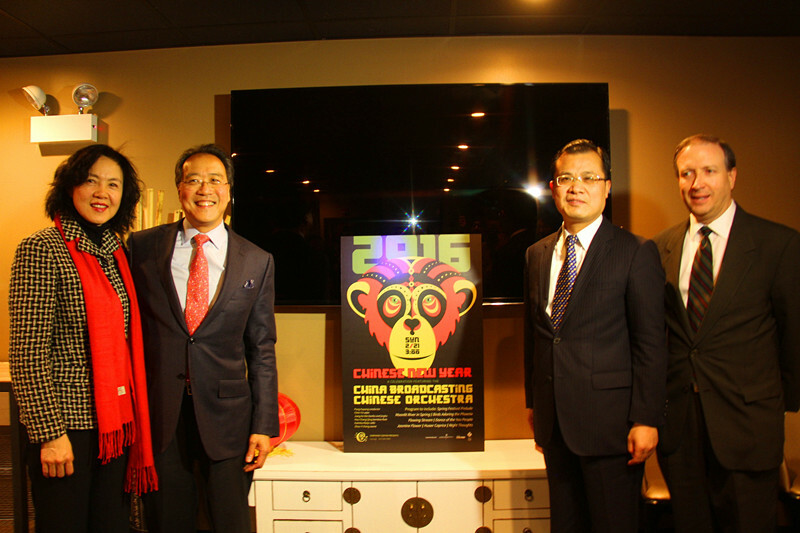 On November 20, Mr. Zhao Weiping, Chinese Consul General to Chicago delivered remarks in the kick-off event for 2016 Chinese New Year Celebration Concert hosted by Symphony Center Presents. Mr. Jeff Alexander, President of Chicago Symphony Orchestra (CSO), Mr. Yo-Yo Ma, Judson and Joyce Green Creative Consultant of CSO, Mrs. Ling Z. Markovitz, sponsor of the concert and over 50 representatives of local media and institutions attended the event. In his remarks, Consul General Zhao extended warm congratulations on the second annual Chinese New Year Concert at Symphony Center. 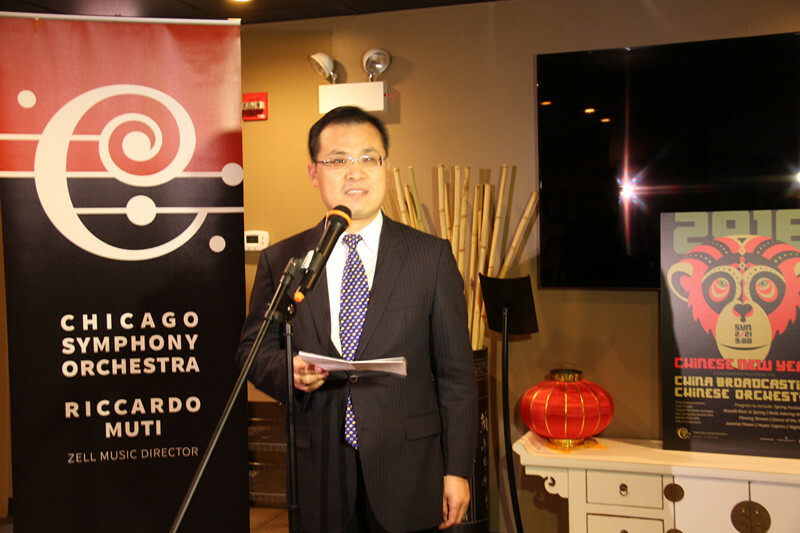 He said that "the concert will feature the best Chinese artists from the world-renowned China Broadcasting Chinese Orchestra, which will bring truly traditional Chinese music to Chicago audience and provide a rare opportunity for the local people to appreciate Chinese cultural heritage". He encouraged the Chinese community to give their support to this music event. The annual Chinese New Year Concert at Symphony Center was first held early 2015, which has become an important part of the City of Chicago's two-week-long Chinese New Year Celebration activities. This year's concert is scheduled on February 21, 2016. · Remarks by Consul General Zhao Weiping At "The Voice of Peace Gala"